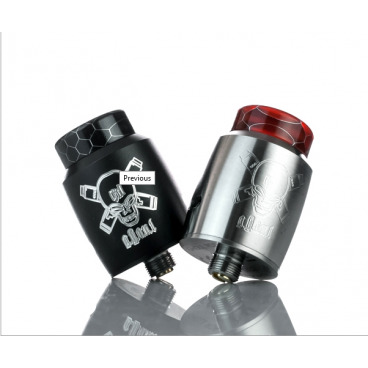 The Ghoul 22mm RDA from Blitz is a two post ceramic clamp style, single coil rebuilable drip atomizer. 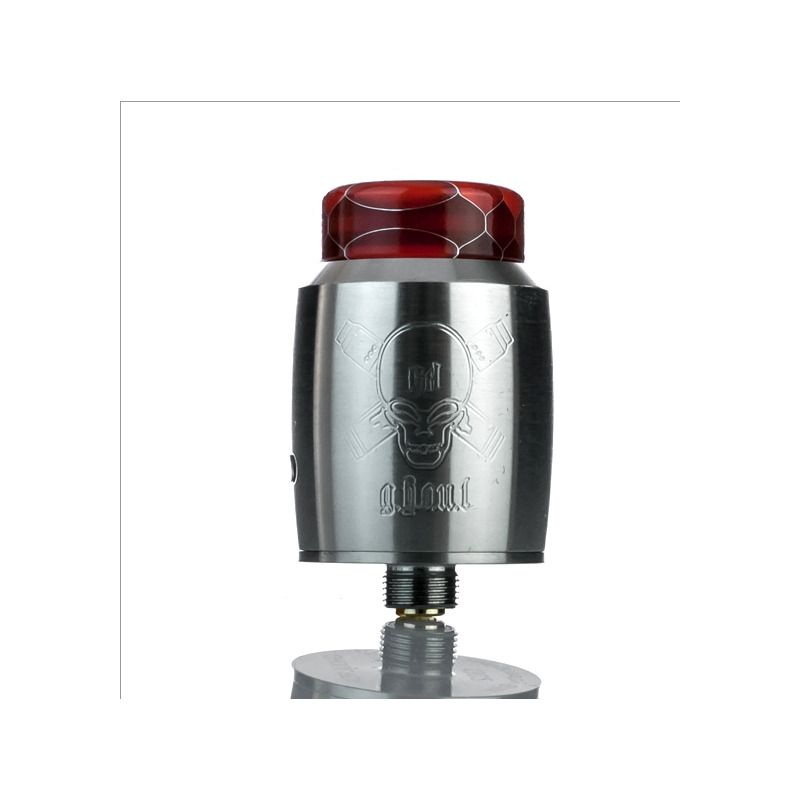 The Ghoul is designed for large format coils and features adjustable back airflow through the posts as well as an adjustable side airflow. The build deck on the Ghoul offers a large build area with a ceramic clamp style terminals that utilize a single top mounted flat head screw for securing the clamps. 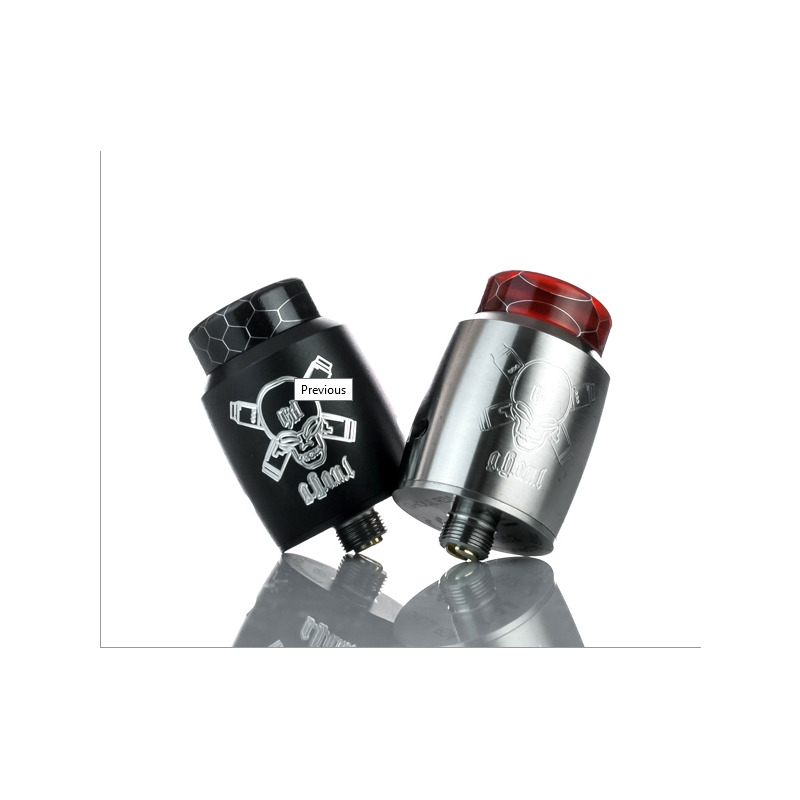 The Ghoul is made of stainless steel and has a large tapered bore Resin or Acrylic 810 drip tip and includes a bottom feed 510 pin for squonk compatibility.